Well, make that one billion users. Facebook has been projected by many websites, analysts and others to reach 1,000,000,000 registered users in August. So the first thing I wandered was, “How did they come up with something like this?”. 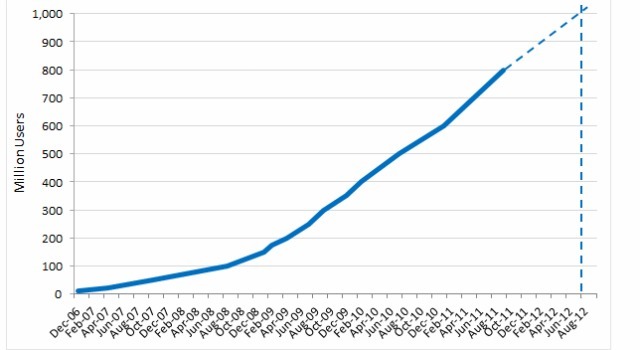 Well, the following graph was created in correspondence with the gains in users Facebook has experienced since December of 2006. Weren’t those the good ol’ days? So is there anyone near the current mark Facebook is at? Well, Twitter claims that they have around 100 million registered users and Google+ expects to have over 400 million users by the end of this year which would be a huge jump considering their reported 40 million in December. Some reports though are saying that it won’t be the US in the big leagues putting Facebook at the 1 billion point. Countries with a small percentage of population being on Facebook are the ones expected to “lead” the drive to 1 billion. This would include countries like: India with 3% & Brazil with 16%. The U.S. claims 49% of their population has a Facebook account and the U.K. comes in with about 47%. 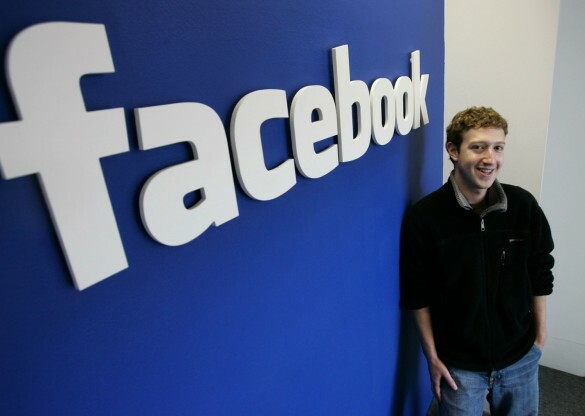 Will Facebook really reach the 1 Billion mark? Can anyone else compete? We’ll keep you updated with the latest news on the Facebook 1 Billion Mark here at Techtronica! Next Next post: Run Windows and Office on Your iPad for FREE and Without Jailbreaking!